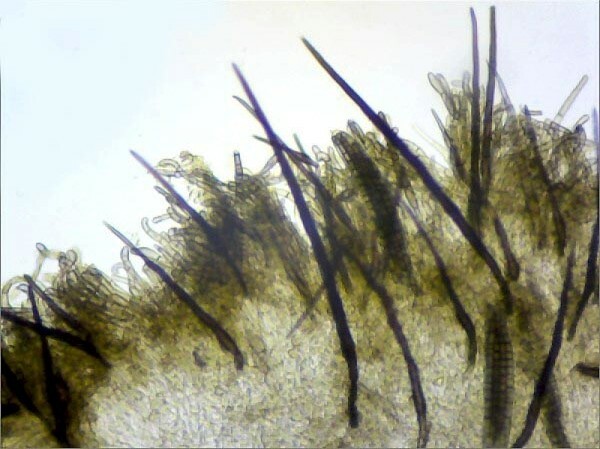 A hand lens is all you need to be able to see the tiny hair-like projections on the spore-bearing surface that separate Tricholossum species from the smooth-surfaced but otherwise very similar Geogolossum earthtongues. Thereafter, identifying most earthtongue species requires microscopic study. 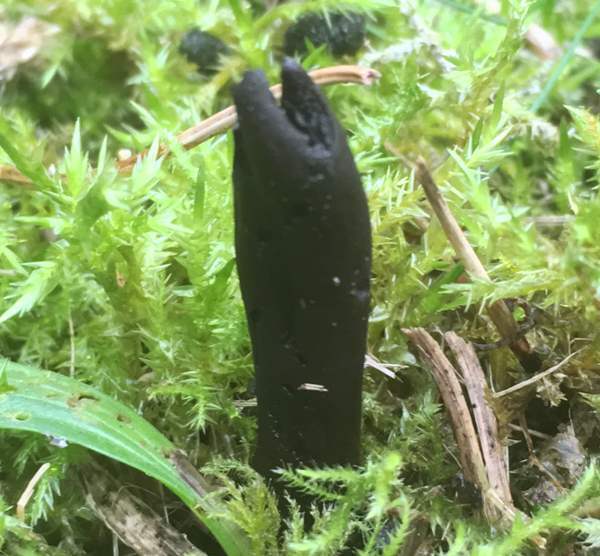 The Hairy Earthtongue Trichoglossum hirsutum is widely distributed and an occasional find in Britain (including England, Wales and Scotland) and Ireland; however, because of its small size and cryptic appearance this little club fungus is very easily overlooked. 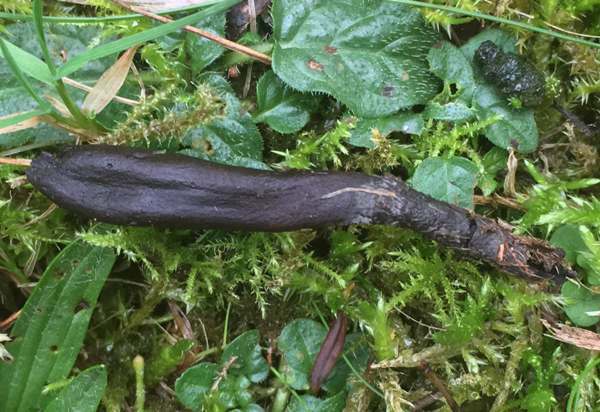 The Hairy Earthtongue occurs also on mainland Europe and is reported to occur in many parts of North America. 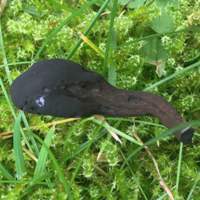 This earthtongue species was described in 1794 by Christiaan Hendrik Persoon, who gave it the scientific binomial name Geoglossum hirsutum. It was French mycologist Jean-Louis Émile Boudier who in 1907 transferred this species to the genus Trichoglossum (which Boudier himself had created in 1885), thereby establishing its currently-accepted scientific name as Trichoglossum hirsutum. Synonyms of Trichoglossum hirsutum include Geoglossum hirsutum Pers. Trichoglossum hirsutum is the type species of the genus Trichoglossum. 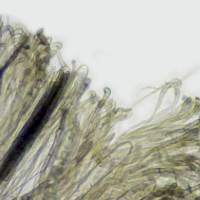 The genus name Trichoglossum comes from Tricho- meaning with hairs (a reference to the tiny hair-like spines, known as setae, on the spore-bearing surface) and -glossum meaning tongue. The specific epithet hirsutum also means hairy. 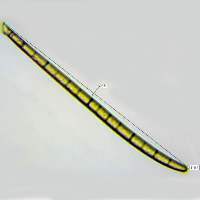 Typically 3 to 8cm tall overall, the stromata are black and club-like, comprising a longitudinally indented fertile section typically 2cm long above a more or less cylindrical and velvety infertile stem. 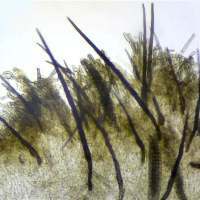 The fertile section is covered in stiif black spines 150-225µm long that extend beyond the tips of the asci. 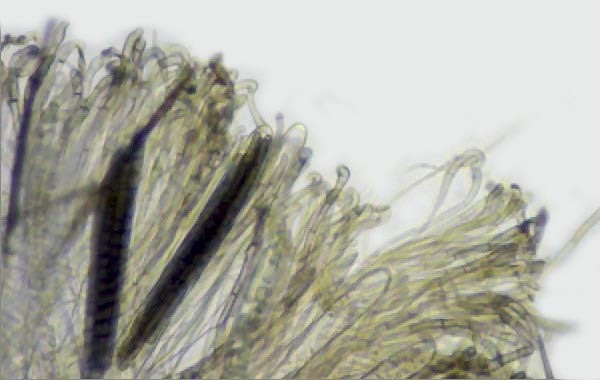 Cylindrical, 180-220 x 20-24µm; 8-spored, with the spores in parallel bunches - not unlike hands of slimline bananas. 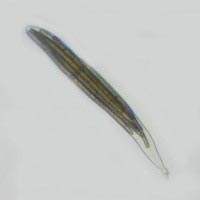 Ascospores elongated cylindrical to fusiform with an acute base and a rounded apex; fairly thick-walled; smooth, 80-195 x 5-7µm; multiseptate (usually 15-septate). 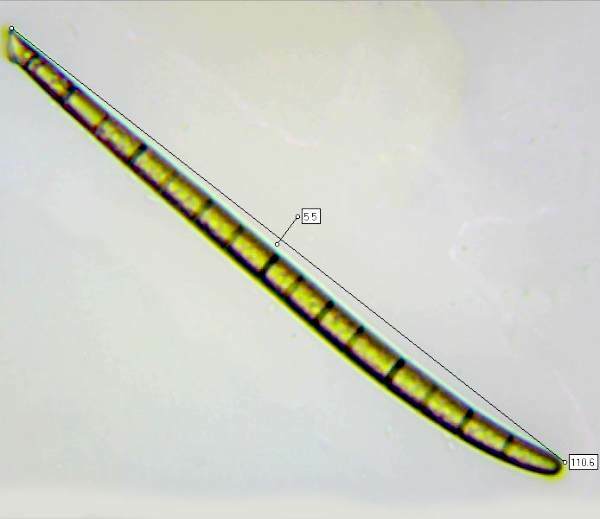 Paraphyses are filiform, 2-3µm in diameter and extending slightly beyond the asci tips; curved or coiled at the apex; 4-6µm in diameter. On the ground in unimproved grassland and in mossy dune slacks, often on acidic soil. Geoglossum cookeanum is a similar earthtongue that grows in the same habitats, but it does not have hairs on its fertile surface. Xylaria polymorpha is an ascomycete of similar size. 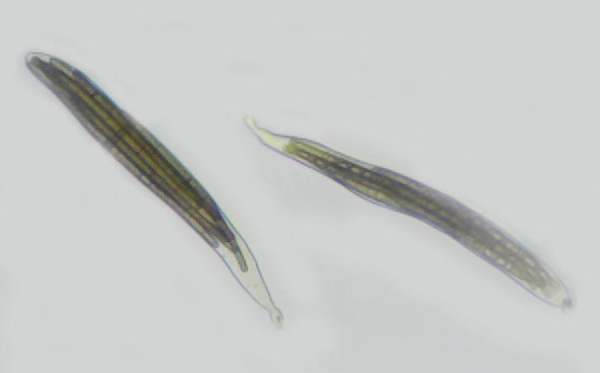 It grows on dead hardwood and its stromata (compound ascomycetous fruitbodies) are not usually laterally compressed or indented. This page includes pictures kindly contribited by Simon Harding.